Pet and produce software on show at the AIRR / Tuckers conference this weekend | A blog about smart POS software for independent small businesses. In the AIRR pet and produce space all eyes are on Adelaide this weekend as the best of the best gather to talk business. Tower Systems is grateful for the opportunity to be there, to be working with AIRR on helping its members grow stronger and healthier businesses. Tower Systems is an Australian software company that develops, sells and supports software for selected specialty marketplaces including pet and produce businesses, like the businesses of the AIRR group. We only serve independent retail businesses, including businesses just like yours. Offer variable pricing by customer, catalogue, volume purchased and more. Manage free bags for customers who buy X bags of pet food and other items over time, and track the customers who use this. Manage freight for goods inward. And with our next update in development now, manage freight in a range of situations that we have discovered are unique to produce businesses. Offer an immediate loyalty reward for shoppers you rarely see. Easily integrate with Xero, MYOB and more. Easily integrate with Shopify, Magento and other ecommerce platforms. What makes us different is how we engage. We are local. We are a 100% Australian owned software company, based in Hawthorn Victoria. When you contact us, a human responds. We don’t use automate phone systems. Our help desk team members don’t follow a rigid script. Small business thrives on human interaction, we do too. We welcome working with your suppliers to create data links that save you and them. Our communication is in plain English. While we are a company of IT geeks, when talking with customers we keep it simple. We won’t scare you. 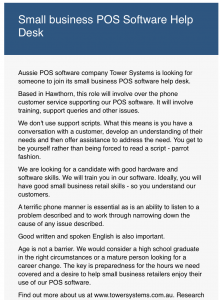 We have been advertising externally for new people for our Melbourne-based small business POS software help desk. Interviews are now under way as we have a terrific pool of skilled candidates. Our candidate selection process is structured and multi-layered, to ensure we find not only a tech skilled candidate but someone who communicates appropriately with small business retailers. Like all new hires, candidates selected this round will undergo considerable training and beta testing, yes, beta testing, prior to live access with customers. That is when we will introduce them to our customers – through our weekly customer service email. Ideas for transforming your newsagency in 2018. A free management workshop for newsagents. newsXpress invites newsagents from across Australia to free management workshops. We also offer to fund air travel for newsagents to ensure easy access to this important event. Tower Systems is proud to be affiliated with newsXpress. 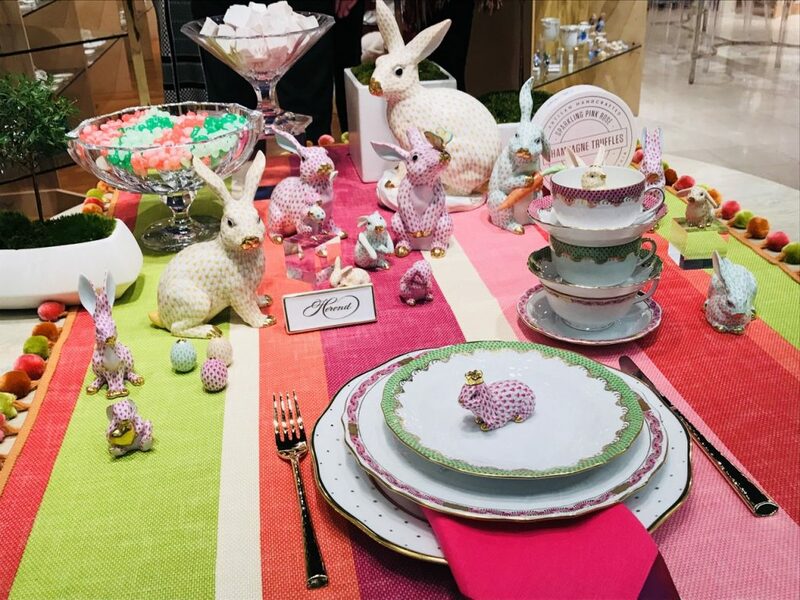 We get to see plenty of terrific VM displays in our travels in retail and at trade shows. here are a couple of terrific displays we saw in Atlanta a week ago. Australian POS software company Tower Systems provide a one stop shop solution for independent retailers looking for a POS software integrated website. As expert POS software developers and expert website developers with experience with Shopify, WooCommerce and Magento, the team at Tower Systems can help small business retailers implement a seamless single inventory database solution that saves time, maximises selling opportunities and helps the business leverage the latest in tech. The Tower POS software offers specialist solutions in a range of small business retail channels. Each solution is tailored to the specific channel. The web solutions are business specific, not off the shelf. They are developed to the spec of the business, serving local needs. This enables local businesses to deliver online the services and facilities they offer in-store and to do so 24/7. With the majority of e-commerce sites for independent and small business retailers being either magento, Shopify or Woo based, you know that from these three you have access to the best of the best. This is another reason Tower Systems has become expert in each. Tower Systems has plenty of websites it can share as reference sites for its skills in this area. While the office is closed today, our after hours and escalation numbers are all live, showing we’re here to help. WQe are thrilled to be hosting another free workshop for retailers sharing knowledge and experience on how to connect your Tower POS software to Xero and facilitate easy and accurate data flow. This new workshop is another in the weekly series of live workshops we offer our customers. The Tower Xero link. What it is, how to use it and what to expect from it. This workshop, like all our workshops, is live, interactive and educational. We help our customers get more from their software investment, regardless of h9ow they purchase our software. 2018 is young and already we are busy training plenty of small business retailers. How we can help more Nicks fall in love with your business. At work on Monday, he tells his mates about the experience, about the local advice and about the money he saved. A couple of weekends later, he tells people he shares a campfire with at another fishing hole about your shop and the experience. An asset of your business is that you are a local expert on fishing. You can promote your expert local knowledge through local notes on receipts. Helping you make the world a happier place, one pet at a time. Melissa loves Rosie, her cute staffy of six years, she would do anything for her, buy anything for her. We have Melissa on our staffy mailing list. She loves the care hints in our emails, the birthday card for Rosie, the staffy calendars – she bought two – the staffy card and our suggested playtime toys. Melissa also loves that by shopping with us for food and treats for Rosie she gets to nominate a local animal shelter that her purchases raise funds for. Best of all, Melissa loves that we help her keep Rosie healthy with reminders on worming and flea treatment, based on when she last purchased. While for sure this is business for us, we know that helping pet lovers nurture and love those they serve is good for our business. We know, too, that happy pets and happy pet lovers make for a happier world. Local pet stores are unique businesses, with tough big business competitors and an ever-growing online challenge. The Tower Systems pet shop software is designed, developed and supported here in Australia. We only sell to independent local pet businesses. We believe in small business! Our software is loaded with facilities developed specifically for pet stores. These are facilities you will not see in regular, often cheaper, POS software. The facilities continue to evolve, too, based on suggestions from people like you. There is more to this software than the marketing described above. For example, we make managing catalogues easy. You can load the offers and have them run for the date / time range you select. In fact, the catalogue tools are quite powerful, allowing considerably more flexibility that you might be used to from the old-school approach to catalogues. Another way we help maximise sales is with an instant loyalty reward. This is particularly useful where you see shoppers infrequently. Using rules you control, a receipt can include a voucher offering an amount off the next purchase. Marketing based on pet birthdays and other anniversaries. Group discounts, where members of a local group loyal to you save money. Here are seven steps we suggest to cut the cost of shopper theft in your retail business. While there are other steps you could take, these seven are most valuable from our years of working with retailers. Look at people as they enter. Make sure they see you see them. Eye contact is key. Ideally, say hello to them. The more they think you have seen them the better. Have a screen near the entrance / exit so people can see that you filming them with your security cameras. The more people think they will be caught they less likely they are to steal. Work on the shop floor. This puts you or your employees among shoppers and heightens the chance of detection of theft. Walk the floor. Every so often, do a circuit. Be present. Talk to people. During peak shopping periods, station someone outside the business looking. Ensure they are trained on appropriate action should they see misbehavior. Bring in a security guard on a casual basis during your most busy periods. Have a no receipt no exchange or refund policy. Use your POS software. Spot stock take. Understand the cost off theft. In our experience the evidence is that items being stolen are bot those you think are being stolen. Data is key here. hence our advice to use your POS software. Ensure all who work in the business are in on this project. The more likely people are to be caught the less likely you are to experience shopper theft. Tower Systems has many years of experience in helping independent small business retailers mitigate em ploy theft and shopper theft. We leverage this experience for our customers through excellent POS software, free training, group training workshops, data analysis and expert witness support for authorities in specific cases. Our advice to retailers is that you can cut the cost of theft if you manage your business to achieve this goal. Sadly, too many small business retailers do not do this because they do not see theft until it is too late. We say be on the front foot, manage to cut theft even when you cannot see it. If you are not sure of something, ask. Don’t assume. Work out how to love your job, because if you don’t, working there will not be good for you or the business. Be as low maintenance as possible. Your employer is not an ATM you can tap every time you feel like sleeping in. How far you go in a business, and in your career, is up to you. You get out what you put it. Add value. If you do this a business will want to keep you and that gives you leverage in this job and your next. Every day, it is up to you. If you are a business owner and hiring school leavers, step up to the responsibility seriously. You hire them, train them, manage them and determine their value to the business as as the value of the business to them. Oh, and being their friend is not an ideal step to good management. Small and independent retail businesses too often lose stock through inadequate processes. This simple, practical and free to implement advice seeks to reduce the opportunity for stock to be lost and mistakes to be made. Always receive stock into a consistent location in the business set aside for the purpose. Check boxes as they arrive. Only sign for receipt if the box count is accurate and the boxes are not damaged. Only move stock from the receipt / arrival location once the contents have been checked and counted, entered into your computer system and are trackable with a barcode you add or that is already on the product. Scan everything you return to a supplier as damaged or returned for some other reason. Scan out everything you write off or throw away. Do spot stock checks (a mini stock take) regularly to determine if there has been shop floor theft. Use the right gear to make this efficient and accurate. Order using your computer system as this will soon highlight employee or other theft. Goods outwards: returning to a supplier, going to charity or going to trash. On the shelves in the storeroom or warehouse. The most important advice in this list is having locations set aside for goods inwards and goods outwards and strict processes in place for handling goods into and out from these locations. Get this right and you will find inventory more under control. Tower Systems is committed to helping small business retailers to get more from their POS software experience than is usual. We leverage our own retail experiences to help our customers way beyond what is usual. All Tower customers have access to this advice and more. We visited a small retail business recently to switch them to our software and found their hardware, which they had purchased less than a year earlier, to be inadequate to the task. In fact, based on what we saw, we suspected that the hardware they purchased as new was actually secondhand. It was that old and under spec. While we are a software company first and foremost, were also sell hardware to those that want it. The hardware we sell is retail business grade Hewlett Packard hardware. By retail grade wee mean quality, robust hardware designed for retail business use. This is not hardware you can buy from a shop. It is not cheap. But it lasts and it is backed by a three year on site warranty. With hardware, like POS software, you get what you pay for. Spend a bit more today on quality hardware and you will get a better return that you would on buying cheap hardware today. The Tower Systems relationship with HP is solid, professional. We selected them because of the quality of their gear and because of the backup they provide in the rare instance of their being a failure. We have fo8und them to be true to their word. This is important to small business retailers. We had a situation last year where a retail business in the outback of Australia experienced a hardware failure. The HP tech made two flights and drove for several hours to provide the on-site warranty coverage promised by the company. There was no hesitation. The support promised was delivered, making the small business owner a lover of HP for life. But back to the story we started this post with. The small business retailer was ripped off by their previous POS hardware supplier in our view. They paid too much for hardware of dubious quality. This left the business with further costs and only the option of legal action against the company that duped them. They chose to not take action. Instead, they prefer the store of poor quality hardware to spread, so others do not make the same mistake. Our motto here at Tower systems is we’re here to help. We live this each day through being accessible to our customers – by phone, email, in person, through Facebook, through Twitter, through our website and more. We make it easy for any of our 3,500+ customers to contact us. Small business retailers like that we are accessible. We like it too because we know the opportunity for learning that comes from personal service with small business retailers. Every week we email our customers with tips and advice. That email includes our contact details, right through the company touch points. Help Desk Mon-Fri 7am – 6pm AEST and Sat. 7:30am to 3pm. VIC (and national): 03 9524 8000. ACCOUNTS. accounts@towersystems.com.au or call 03 9524 8000. CHIEF OPERATING OFFICER. Gavin Williams. 03 9524 8000. 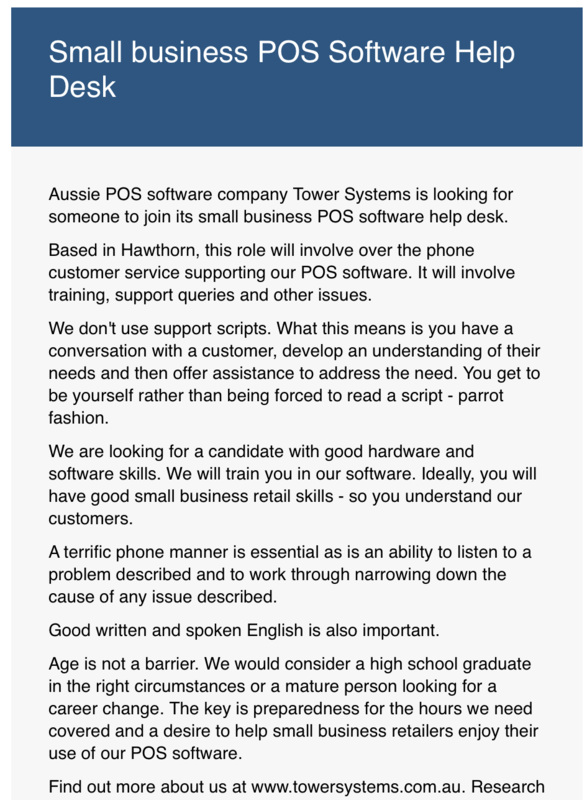 Email gavinw@towersystems.com.au. Email bookings@towersystems.com.au with your request. Help desk support in the use of our software. After hours support for urgent problems relating to our software. Free one on one training in our software each year. Access to our online knowledge base – with more than 600 articles. Access to our online training video library – with more than 130 videos. Access to our live weekly online training workshops. Access to checked by Tower supplier stock files. P1. System down. The most urgent call we can get. P3. Pressing question But system not down. Return call goal 2-3 hours. Choosing POS software for a retail business is a daunting task. The software companies usually make it difficult to compare. Tower Systems is a software company. Our goal is to make it easier for you. We don’t want you to choose our software if our software is not the right fit for your business. This is why our first advice is to make this decision about the software first. Make sure that you compare what each software package does. However, before you do this, ensure you know what you want out of software for your business and the amount you are prepared to pay for what you want. Knowing what you want is as important as is knowing what you are prepared to ay for what you want. The reality is there are cheap POS programs out there. You get what you pay for, every time. The cheapest product is the cheapest because they have either not invested as much in the development of the software or because they do not back the software with the same level of service. Yes, you get what you pay for. This is why you haver to be realistic about the amount you are prepared to invest. In considering software, start with the functionality. Look at each software package. Compare how it works against what you want from software you purchase. Once you have a list of software packages that do what you want, dive deep into support coverage. Look carefully at how support is delivered, how you can access this, the training opportunities and how your business can be helped with the training and support. Easy access on the phone, through human to human conversation. Locally based. i.e. not offshore where people don’t understand your business. Help beyond the software. Is there an accountant you can talk to or a retail business specialist. Easily accessible personal one on one training. Regular updates but with you controlling when to install these rather than having them forced on you. An escalation process if you are not happy. The contact details for the owner of the business. Ultimately, only you can know the best POS software for your type of business and your business. The value of the decision you make will reflect the approach yo7u took in making the decision. The old maxim of measure many times and cut once is true here. Small business retailers are in business to make money for it is money that feeds the family, allows the business to support the local community and adds to the value of the business when it is time to sell. It stands to reason that small business retailers want to take steps appropriate to the business making more money. This is where the Xero POS software link from Tower Systems helps. It helps small businesses make more money. By money, we mean bottom line profit. How we do this is through wonderful software that provides a seamless, safe and structured flow of data between the in-store POS software and Xero and through training and advice on what a small business retailer can leverage from the data that flows through the link. Tower Systems is not your average software company. We are retailers too. We use this software, including the POS software Xero link, ourselves, in our won retail businesses. We can speak from experience when we help. We can guide in a way that a usually POS software company cannot. Lower operating costs, especially lower bookkeeping and accounting costs. Less mistakes. Mistakes are expensive for businesses. Better quality business decisions. Thanks to easy access to more up0 to date data. Less theft. With less human intervention in data there is less opportunity for employee theft. Greater confidence. Confidence comes from having easier access to accurate data sooner. While this sounds like a marketing pitch line, it is a fact. The flow of data from there POS to Xero means you can access business decision making data days and weeks ahead of when you might have with other processes in place. This boosts your confidence. Tower Systems provides business management advice to back its software. 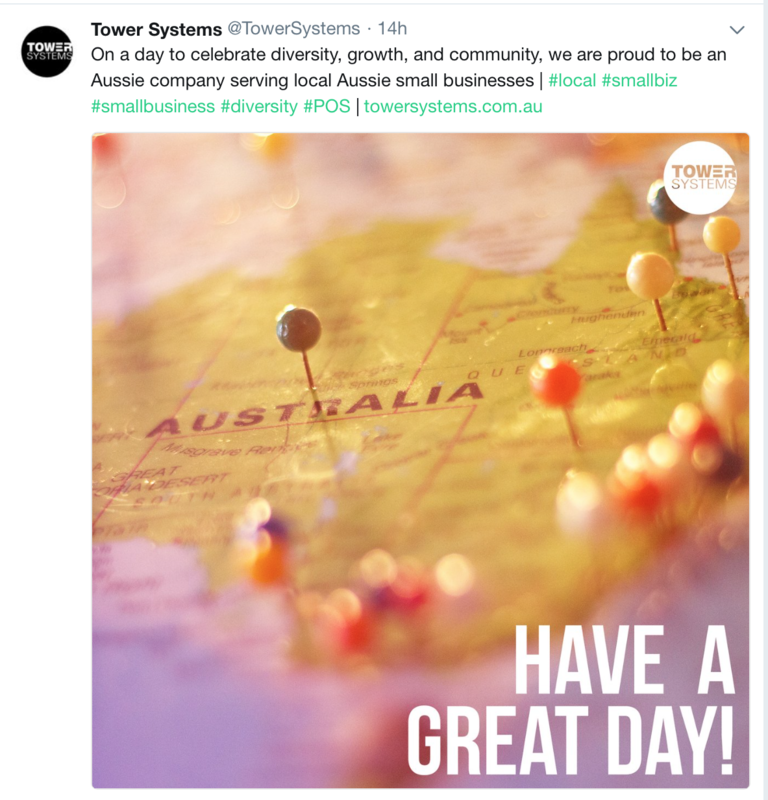 This can see small business retailers gain more from a Tower relationship than they might have through a relationship with another POS company. We have accounting skills, at CPA level, in-house. This enables us to provide advice and guidance beyond that is unusual for a POS software company. We call this the Tower Advantage. We are thrilled to welcome new customers using our small business POS software. We have a welcome page on our website, which is part of our structured approach to welcoming new customers. Welcome to Tower Systems. This page welcomes new customers to our business, small business retailers switching to our POS software. Thank you for your business, for your faith in our software and our services. We appreciate it. Our goal is to help you make your business more valuable and more enjoyable through your use of our POS software. Here in our website you have access to a knowledge base, available 24/7, which contains excellent advice and articles about how to use the software. It is like a live and evolving user manual – but searchable. Log into the customer side of the site and you can immediately access the knowledge base. We release software updates every few months. We announce by email when these are available. You choose when you wish to install each update. This gives you control. If you have suggestions on changes you would like to see in our software, please use our Software Ideas page on this website. Through here other customers using our software can vote on your idea. Every week we will send you a customer email with tips, ideas and inspirations. This is another touch point designed to help you get more from the relationship. As a customer, you have access to free training. To schedule free one on one training, please email bookings@towersystems.com.au. Welcome as a new customer of Tower Systems. Our motto is we’re here to help. Please, let us know how we can help your business. Older employees can being terrific value to a retail business that is keen bring change to the business. Young employees cost less and this is a common appeal among retail business owners. Maturity. An older employee understand work. Appreciation. If they have been to of work for a while they are more likely to appreciate then job and could therefore invest more in it. Experience. An older employee could have experience in a field from which the business can benefit. I am not thin king here about retail experience. rather, they may have business management skills, special interests or experience that you can leverage as you change the business. Flexibility. With less focus on establishing themselves and a social life they cold be more available and this could help the roster. Communication. An older employee is more likely to be better with oral communication given they has less tech when they were younger. While this is a rash generalisation, I’d back it to be likely. When you are looking to fill a vacancy or a new role in the business, consider older person for these and other reasons you can think of. The could bring to the business skills and interest the you can leverage more valuably than the skills and interest of a younger lower cost employee. Of course, the value of any employee depends on your hiring, training, management and motivation of them. The post of this post is to suggest that next time you hire you think about an older employee. Older employees can bring new insights and energy to a business. The right hire could be just want the business needs to explore new traffic opportunities. 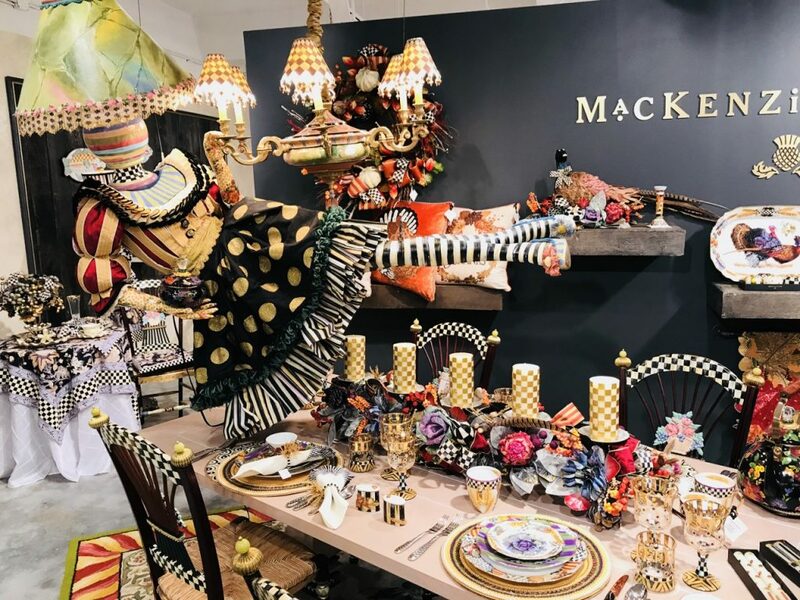 Some of our team have been at the Americasmart gift fair in Atlanta this past week looking at new trends in the gift and homewares retail spaces. It has been a busy few days of networking, learning and making new connections. We appreciate the opportunity to learn and bring some of this back to our growing customer based on retailers in the gift and homewares spaces. 2018 is looking like a most exciting year. With more pet retailers and produce stores joining our user community we are confident that Tower systems delivers the commercial outcomes that pet and produce retailers want. Our pet shop software and our produce business software are world-class. We are an Australian software company that develops, sells and supports software for selected specialty marketplaces including pet and produce businesses. We are deep into our analysis of basket data for small business newsagents as we undertake the work involved in our fourth benchmark study for the last year. This latest study looks at business performance data from October 1, 2017 through to December 31, 2017 and compared it to the same period a year earlier. This benchmark work is done without cost for newsagents and their suppliers. It is something we have done for more than fifteen years as part of our commitment to helping small business retailers. The report is respected as a guide to overall newsagency business performance and the early identification of category performance trends. We are glad that so many fine it of use. Q4 2017 NEWSAGENCY SALES BENCHMARK STUDY. I am preparing a new benchmark study for the newsagency channel to look at the latest sales trends overall and in key product categories for the fourth quarter of 2017. This quarterly newsagency sales performance study will help newsagents see the future based on the data trends. Click here for my last report. Please run a Monthly Sales Comparison Report for 01/10/2017 – 31/12/2017 compared to 01/10/2016 – 31/12/2016. I own and run three newsagencies. Over the years I have had three others. I am a 50% shareholder in and CEO of newsXpress, the newsagency marketing group. Tower Systems serves 1,750+ newsagents with best practice newsagency software. Overall, Tower Systems serves in excess of 3,500 small business retailers. It can be tough for a small business to compete with big business. Those who do so successfully have access to excellent quality up to date business data. They leverage this to fuel quality business decisions. The best business data is that which flows immediately between POS software and accounting software. Tower Systems provides to small business retailers a beautiful, easy to setup and easy to use link between its POS software and the cloud based Xero accounting solution. Timely access to accurate business data. Data that is operational and financial. Data that is not manipulated. Data that flows from the shop floor to the accounting function without impediment. The most effective ways small business retailers can compete with big businesses and online is through efficient operation, accurate data and customer service touch-points that add appreciated value. Tower Systems only sells its POS software to small business retailers. We believe in small businesses, their importance to local communities and their broader economic value. Through our software, our personal in-store training, 24/7 human and locally based help desk service, regional user meetings, weekly online workshops and other touch-points we help small business retailers beyond what is usual for POS software companies. Our company motto is we’re here to help. We take this seriously. Everyday, out motto challenges us to help our customers in ways they do not expect, ways beyond the software itself. Founded in 1981, Tower Systems has evolved as technology has evolved. The software we sell today is generations away from where we started. We are proud to have served some of our customers for decades. More than 3,500 specialty small business retailers in Australia and New Zealand use our specialty POS software. To us, a specialty retailer is one that offers services unique to the channel, services that define the business. We embed in our software for each retail channel facilities that serve needs unique to that channel. We take pride in doing this and enhancing these channel-specific facilities as the needs evolve. Every data touchpoint in a business is an opportunity for employee fraud. Using this link there is less touching, less entering, of data. This in and of itself reduces the opportunity for covering top theft and if you reduce this opportunity you reduce actual theft. Theft occurs where there is less oversight. Thanks to the seamless flow of data from the POS software to Xero, without human intervention, oversight is tight and constant. This means loess opportunity for theft. Track cash without the opportunity for manipulation and you reduce the opportunity for theft. The POS software / Xero interface means that cash is recorded the moment a sale is completed. Every step of engagement with the cash whether it be the end of shift cash count, a customer refund, removal of cash from the register is tracked. Getting data out of the business and into the accounting ting function makes it more protected. The POS software Xero link gets data to the accounting function quickly, easily and without being manipulated. Data is treated like a serious business asset, as it should be. Never take your eyes off data. For the moment you take your eyes off the data you open it to be manipulated. This link never takes its eyes off. Also, thanks to powerful data tracking including deep security data tracking, you can rely on this software to help you manage theft so as to ensure the impact on the business is minimised compared to what would be the case if you were not using the Tow3r Systems POS software Xero interface. There are many stories from small business retailers where Tower Systems has helped uncover, resolve and even prosecute in situations of employee theft. We have specialist experience in helping small business retailers in this stressful and expensive area of business operation. Tower Systems has brought its theft mitigation experience to the Xero link to leverage this ti maximum benefit for its small business retail customers.